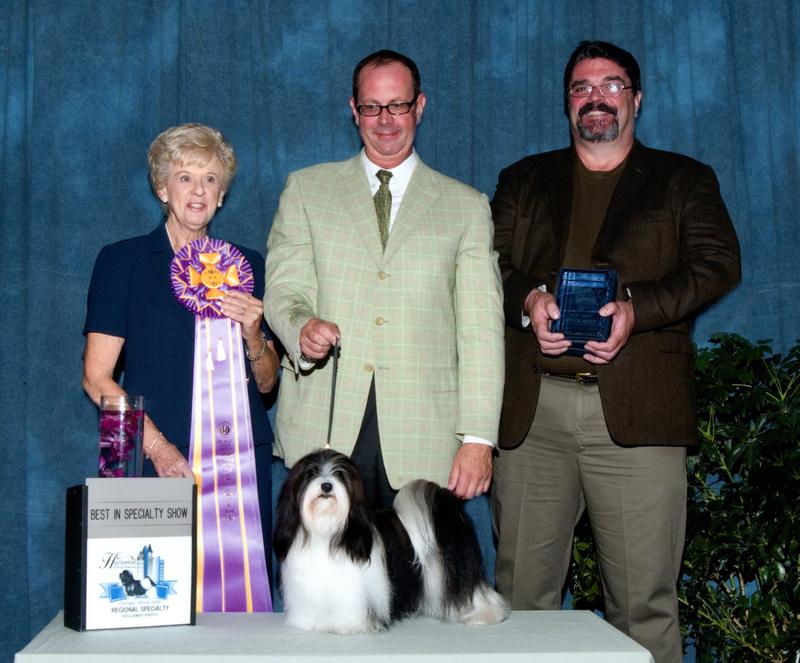 BEST IN SPECIALTY SHOW WINNER! 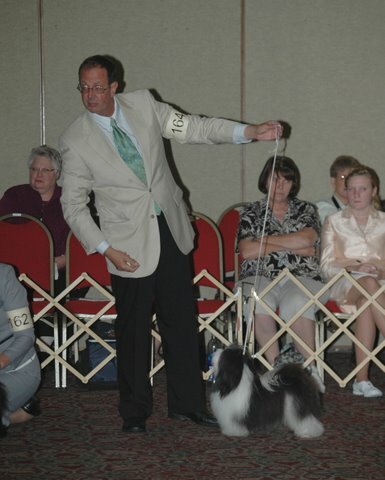 Vallee started her "special's" career the end of June 2007. She has won many BOB's as well as many Group placements in a very short time, but nothing compares to the wins described below. 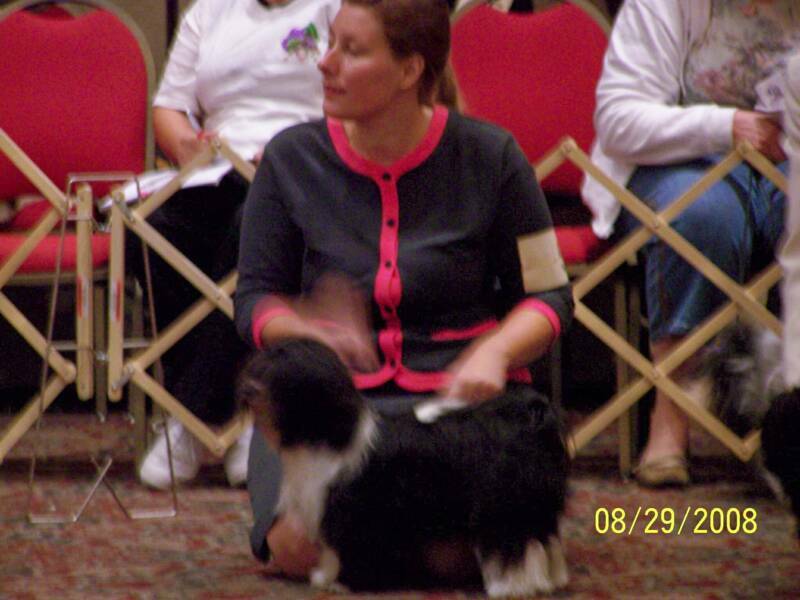 On August 16, 2007, Vallee, shown exclusively by David Murray, won BISS at the regional specialty held annually during the HCA National Specialty week. 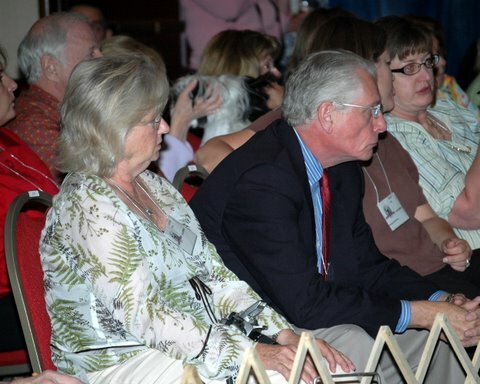 Last year in 2006, at this same show, Vallee won WB then came back to win top honor in 2007. 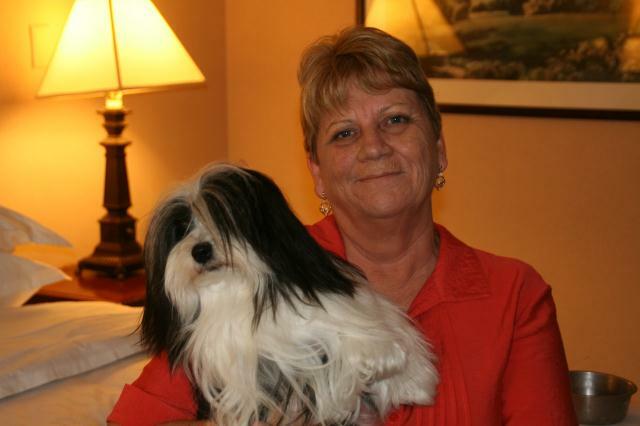 Thank you Judge Vicki Abbott for awarding Vallee such a special win. 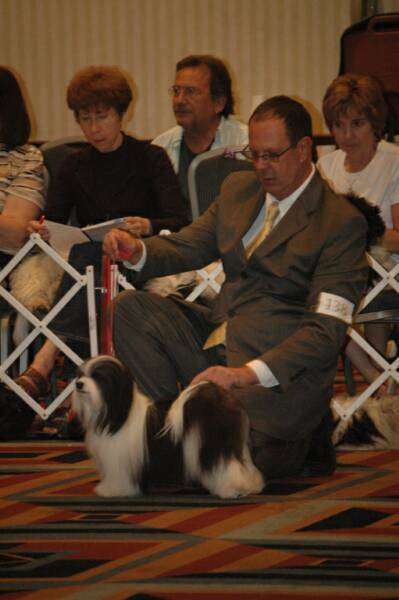 The National Specialty began on August 17, 2007 and concluded on August 18, 2007 when Vallee was awarded BISS (Best In Specialty Show) from Judge Norman Patton. 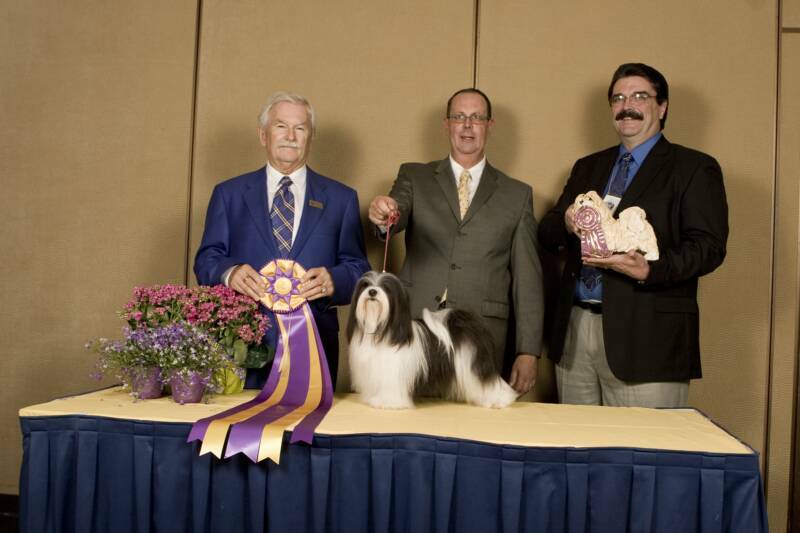 2007 Havanese Club of America National Specialty Best In Specialty Show winner!! We are so proud of Vallee and David. 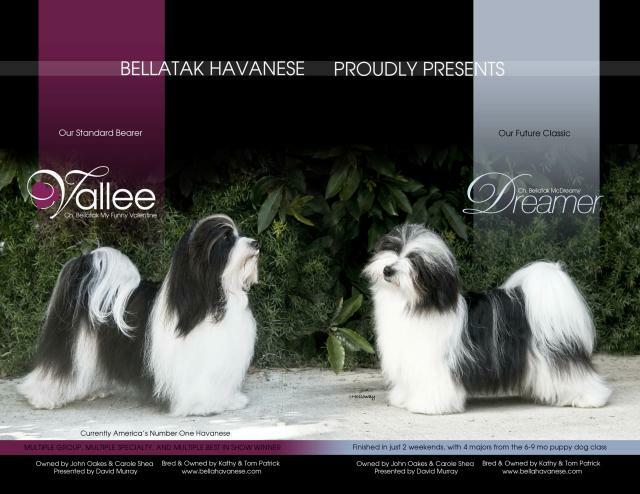 Vallee is quite possibly a breeders "once in a lifetime" dream come true as she is a true example of what a Havanese should be!! 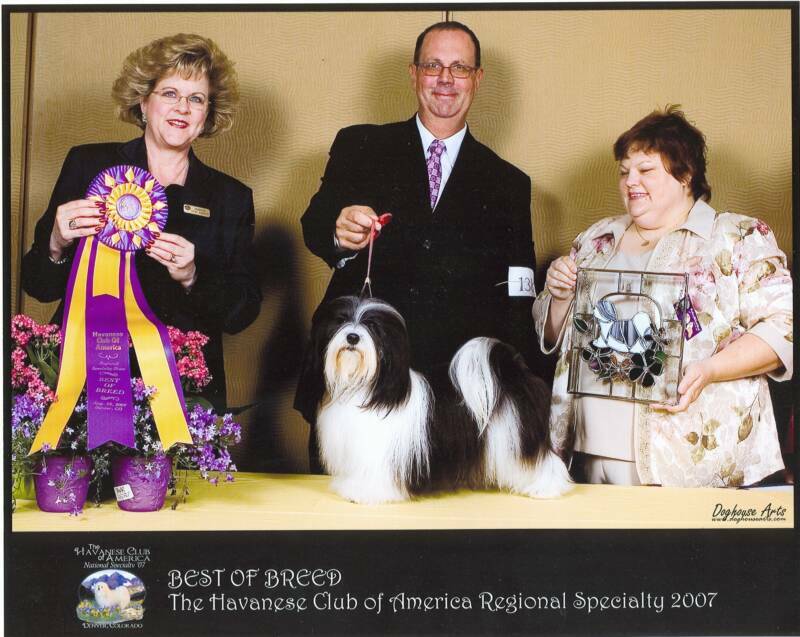 Vallee makes history again in 2008!!!! 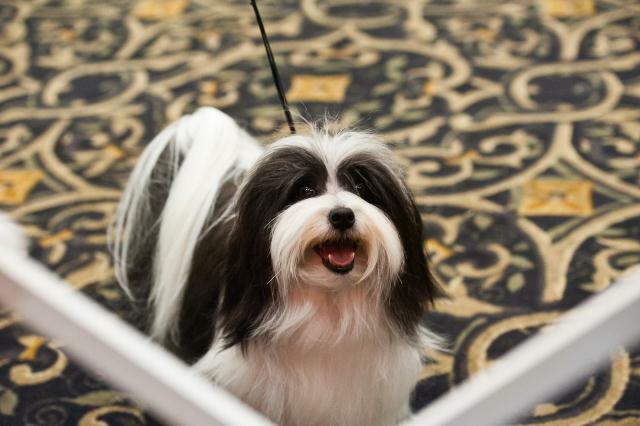 2008 Havanese Club of America National Specialty Best In Specialty Show winner. 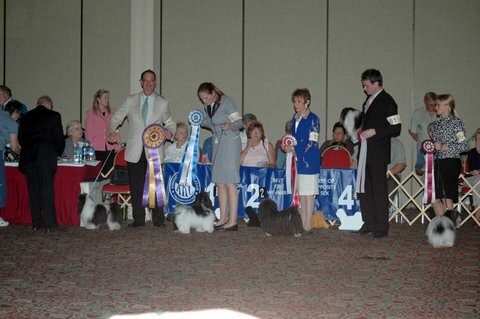 Vallee is the first Havanese to win more then one HCA National and she did it two years in a row! 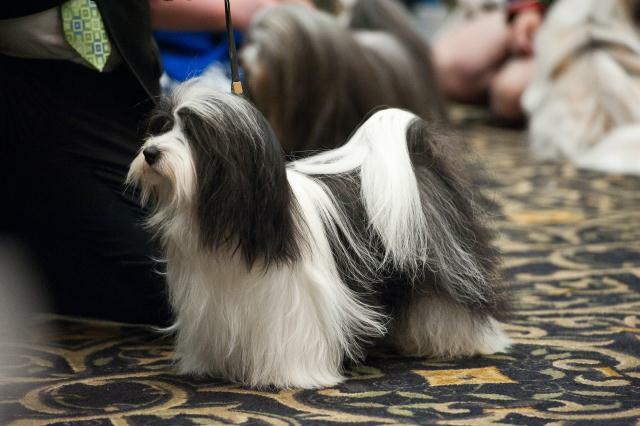 BOS was also the same this year as last year, again another historical event for the breed! 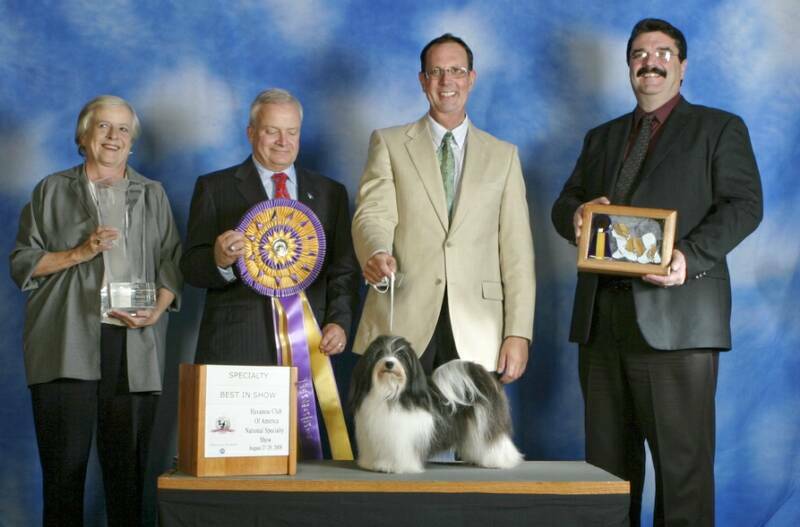 Both of these Havanese winners also have the same sire, CH Starkette Pride of Wincroft (Buster). 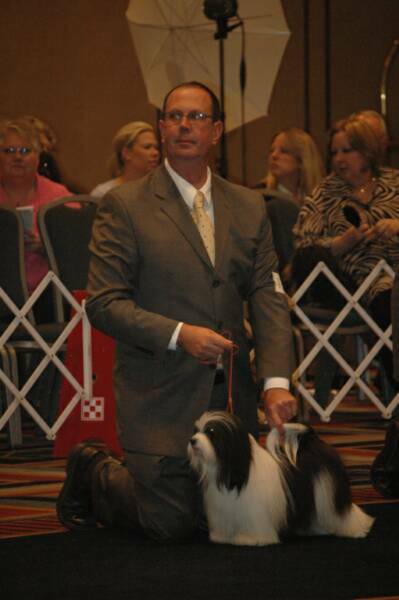 Buster won Best Vetern Dog and Best Stud Dog for the second year in a row too. Vallee's sponsor's and co-owners, John Oakes and Carol Shea were present to enjoy the excitement and celebrate with Sarah (my daughter) and I. 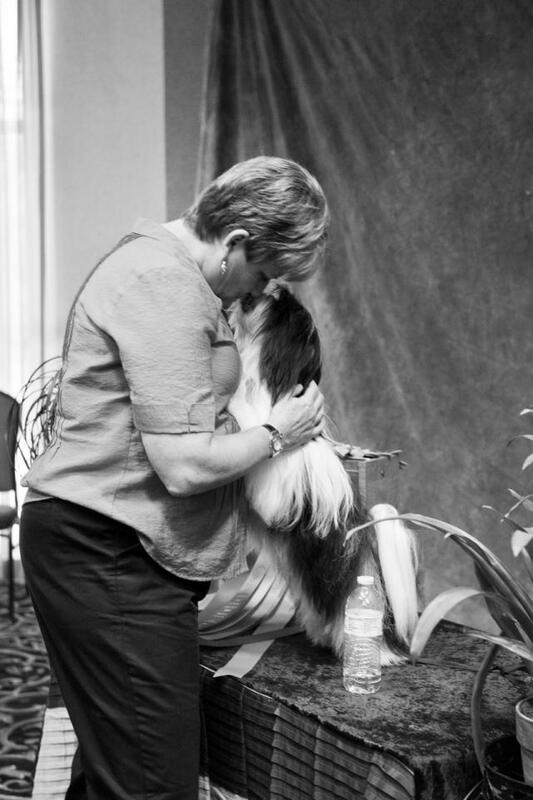 We are all very proud of Vallee and David for what they have accomplished to date. 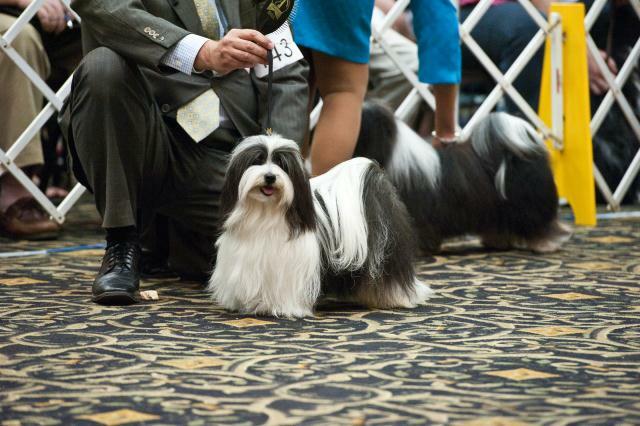 Vallee does it again in 2009!!! 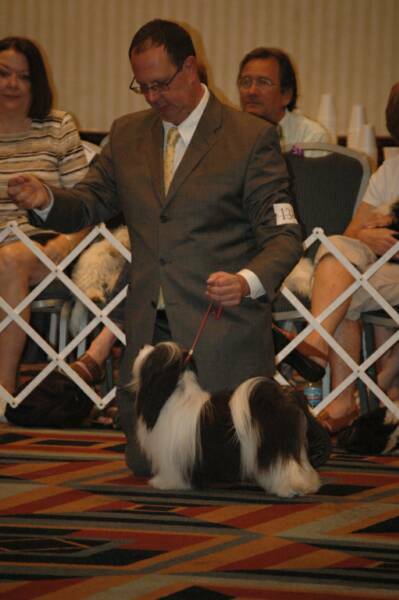 The National Specialty was held in Chicago, IL. 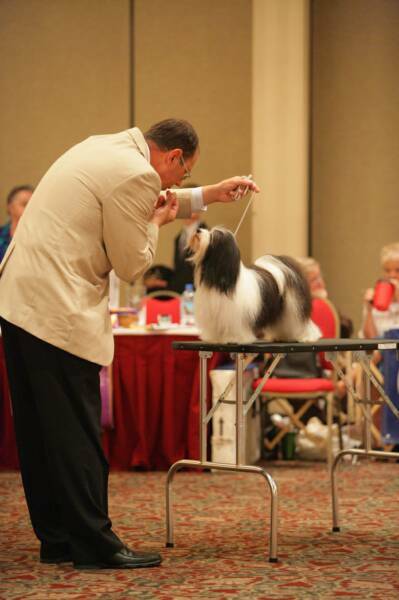 Vallee was shown both at the Regional Specialty and the National Specialty this year agian. 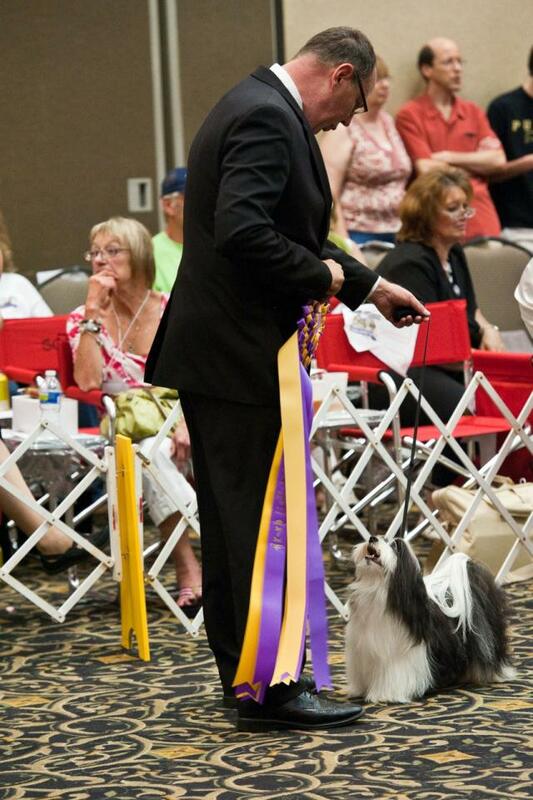 The Regional was first and the AKC judge was a breeder/owner/handler which made this win extra special. 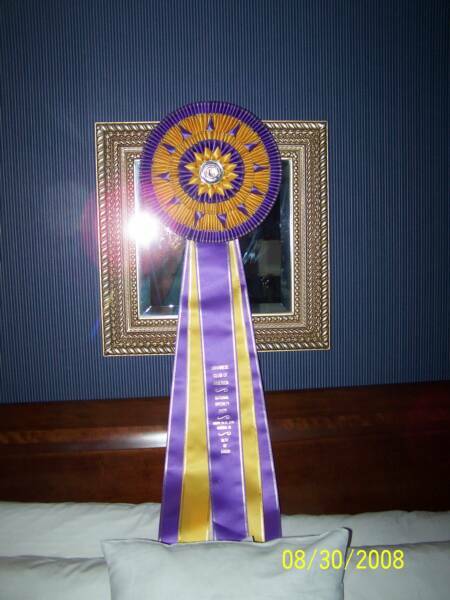 Thank you Judge Candace Mogavero for choosing CH Bellatak My Funny Valentine (Vallee) as the winner of the 2009 HCA Regional Speciatly held at the national. 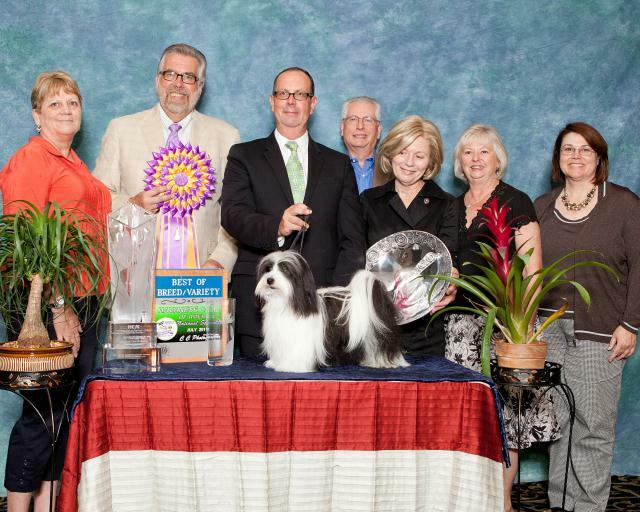 This makes it 4 years in a row that Vallee won at the national! What a record she made. 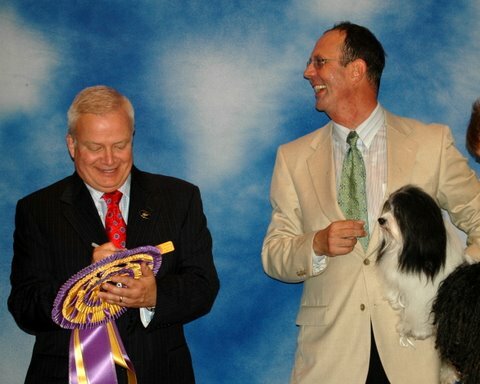 Dreamer wins the 2011 National Specialty! Dreamer made his debut as a special in January 2010. 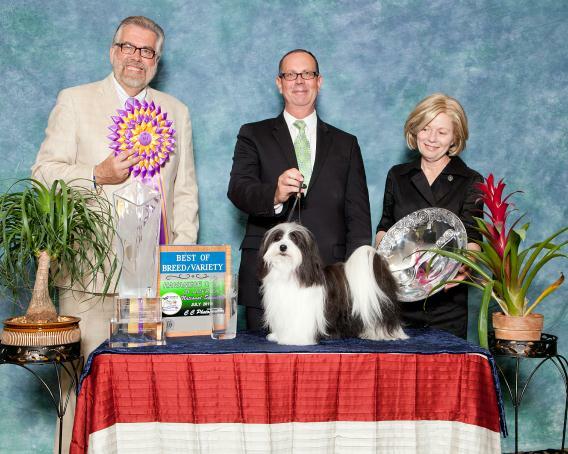 He has been the #1 Havanese in the USA since making his debut and remains #1 in 2011. The specialty this year was in Raleigh, NC. It was very hot and muggy! 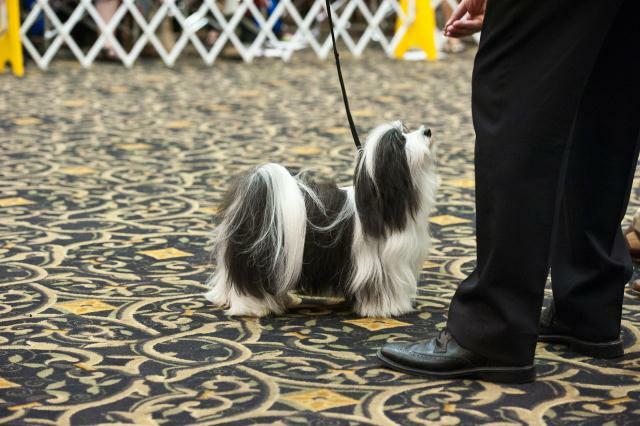 The entry was big as it has been in the past when the show is on the east coast. 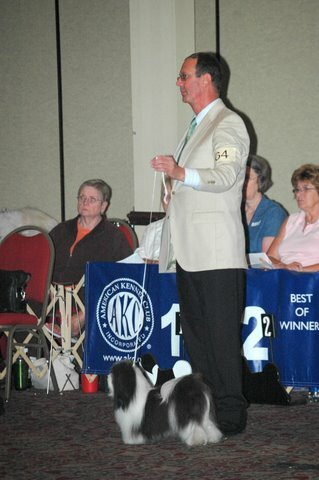 Judge James Reynolds did a fantastic job of running his ring. It was different then I had seen before, but the way he did it meant everyone was seen more then once and no cuts were made till the end. Dreamer and David made it through every cut, thankfully. 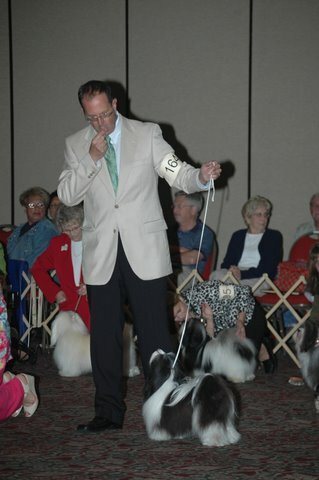 When the final dogs were lined up, Mr. Reynolds stood back and took another good look at his picks. When he suddenly pointed at Dreamer, I held my breath until he made the final call. Then I screamed and hugged John Oakes and the rest of Dreamer's team! 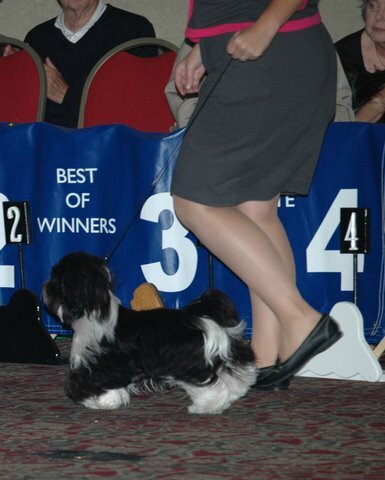 This win meant that Bellatak Havanese had won the HCA National 3 times, something that has never been done before! We retired the HCSC Perpetual Trophy with this win too! THANK YOU Judge James Reynolds was this presitagous win.